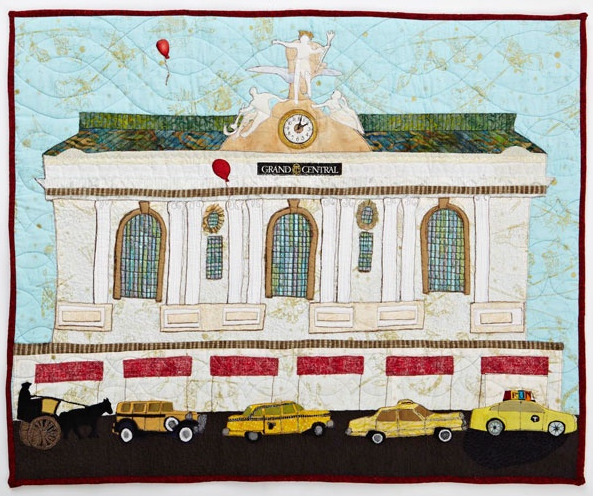 In honor of Grand Central Terminal’s Centennial in 2013, The City Quilter, a Manhattan-based BERNINA dealership owned by Dale Reihl and Cathy Izzo designed four fabrics to commemorate the anniversary of one of the world’s most beautiful buildings. 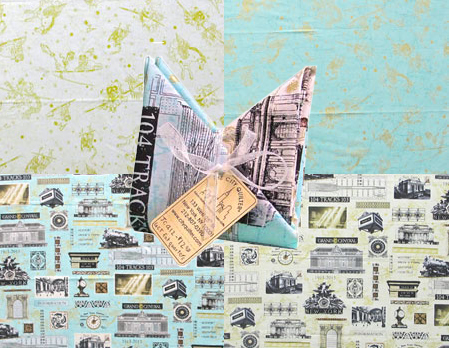 As New Yorkers who love and appreciate our rather special city, we decided four years ago to take control of our New York fabric destiny and began creating our own 100% cotton NYC-themed prints, our City Collection.™ Including Grand Central, we are now up to nine different designs, some in multiple colorways, with two more launching in late April, 2014, and a third – our first non-New York print, Susy’s Paris – also being released then. After setting the Grand Central fabric production in motion, we recruited American Patchwork & Quilting magazine to co-organize a national quilt-making challenge, a competition to make commemorative quilts that use these Grand Central fabrics and that exemplify what Grand Central means to the makers. 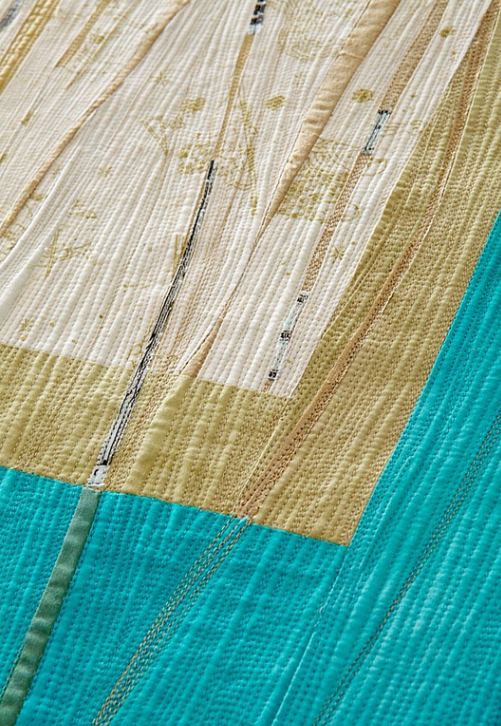 The submissions were judged by American Patchwork & Quilting and The City Quilter. We had 3 winners, 9 honorable mentions, and 18 finalists, representing 15 states. 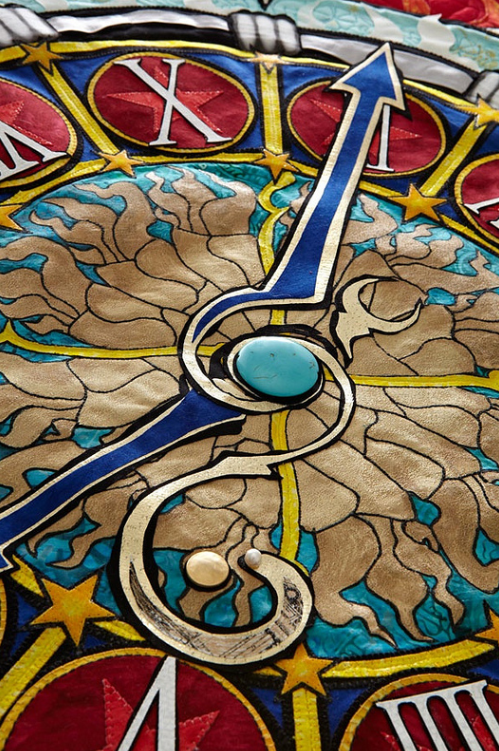 These 30 exemplify the artistic diversity of quilt art, and will be on display at the New York Transit Museum’s 1,000 square foot Gallery in Grand Central Terminal. 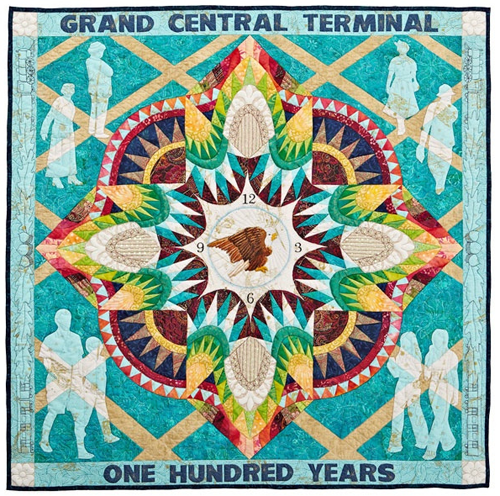 The “Grand Central Centennial Quilts” exhibit will be in Grand Central from March 15 through July 6 (Monday–Friday, 8 am to 8 pm; Saturday & Sunday, 10 am to 6 pm). Do make plans to visit if you are in New York City! According to Travel + Leisure magazine in a October 2011 survey, Grand Central Terminal is “the world’s number six most-visited tourist attraction”, bringing in approximately 21,600,000 visitors annually. Based on average attendance figures at the Transit Museum’s GCT Gallery, we project 70,000 to 120,000 visitors. Previous Previous post: The Next BERNINA Faceplate Design is Up to You!